1) WRANGLER Slip Yoke With CV. 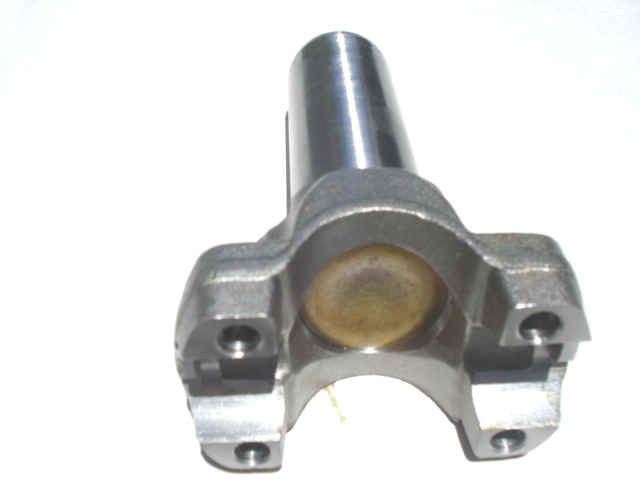 This drive shaft can be used on all vehicles that have slip yokes. Removes vibrations like all the Internal TC SYEs. It is easy as 1,2,3 to put on. No takeing the transfer case apart !! 2) External Slip Yoke Eliminator (SYE) Drill and Tap, We make also SYEs for 208 Transfer Case (TC), 241 TC (32 SPLINE) AND 1356 BW TC(31 SPLINES). Use this when you need more travel but don't want to spend lots of money. 3) Internal to the Transfer Case SYE HD Short Shaft Kit with new output shaft and housing makes Transfer case 4" shorter and drive shaft longer. Use this when you plan to do heavy duty rocks and off road. CLICK HERE TO GO TO INTERNAL SHORT SHAFT KITS SYEs AND DRIVE SHAFT COMBOS. These kits are located on a separate page so not to confuse the SYEs available. Ok, I want to order one, how do I measure? NOTE, iF YOU NEED HIGHER ANGLES THAN PRESENTED BELOW CLICK HERE. THERE WILL BE INSTRUCTIONS WITH EACH SYE YOU BUY. THIS WILL CLARIFY THE PROCEDURE TO DRILL AND TAP AT THE END OF THE OUTPUT SHAFT. For Chevy's, Ford's, Dodge's look under those vehicle's custom drive shaft on main menu (HOME PAGE). EXTERNAL SYEs - NO TAKING THE TRANSFER CASE APART SUPER HIGH QUALITY KITS. USED for 231 Jeep YJ, XJ, TJ , 207 old jeep, 242 cherokee transfer cases ALL 27 SPLINES SHOWN BELOW. 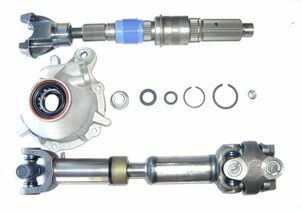 Wrangler EXTERNAL SYE Kit 1310 -- Regular angle CV style drive shaft with regular splines. FOR TOUGHNESS, ONE TON 1350 DRIVE SHAFT AND SYE FLANGE INCLUDED!!! BIGGER IS HEAVIER DUTY IN THIS WORLD. For Jeeps, and any other vehicle. REAR HIGH ANGLE DRIVE SHAFT 1310 half ton CV 40 DEGREE - Standard Slip Yoke with CV just tell us what transfer case you have. REAR HIGH ANGLE 35 DEGREES ONE TON 1350 DRIVE SHAFT will fit Transfer Cases 231, 242, 207 and any 27 spline output shaft. 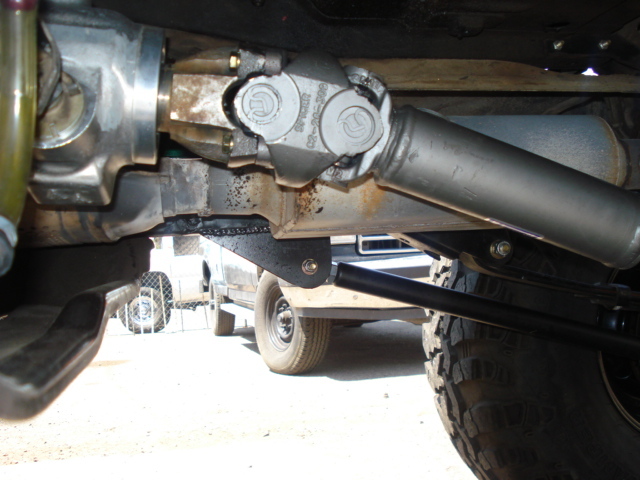 These FRONT drive shafts normally do not get severely effected with lifts up to 4-5 inches. Higher lifts, you may need to replace it with a heavier duty and high angle drive shaft. FLANGE 26 SPLINE FOR 231J FRONT OUTPUT. YOU CAN BOLT THE 1350 TO THIS.